I just got this great CurlyGirls combo kit from Loccessories. This is an awesome little set of hair accessories that are perfect for someone who has curly hair. I actually use a bunch of these accessories because I have thick hair and regular accessories don’t always work great in my hair. 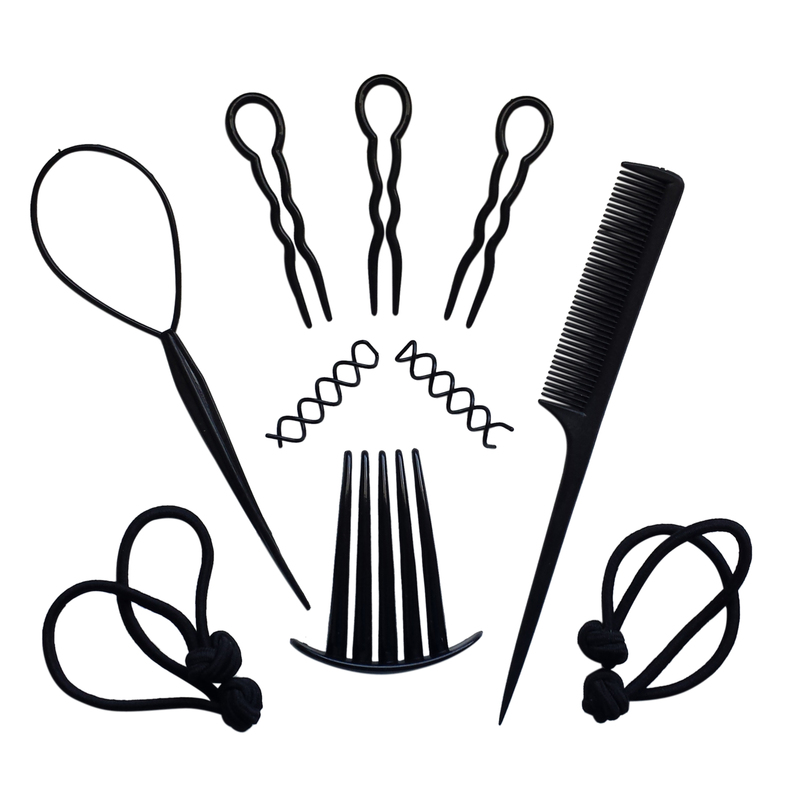 It comes with a comb, four large hair ties, a large comb, some spiral pins, large bobby pins, three large clips and a pony tail loop. I love the loop you can make some really cute hair styles with it. Just put it through the hair at the top of a regular pony tail, flip the pony tail through the loop and pull down, it makes a really cute little design. All the accessories are really well made and stand up well to thick or curly hair. GUARANTEED QUALITY: Free replacement of any hair tool in your set within the first 6 months of use!